Despite finding a certain thrill in that chaos, Rice longed to fully commit to her music: a genre-blurring blend of soul and pop and folk-rock, emotionally raw yet gracefully composed. So at the start of 2016—soon after publishing her groundbreaking HIV research in The Journal of AIDS—Rice left the medical field and threw herself into finishing up her debut album. With Dear Misery arriving in June 2016 and gaining lavish acclaim from local media, Rice next scored a spot on season 12 of NBC’s The Voice—later emerging as a top 11 finalist, and beginning her ascent as a pop artist of extraordinary impact. 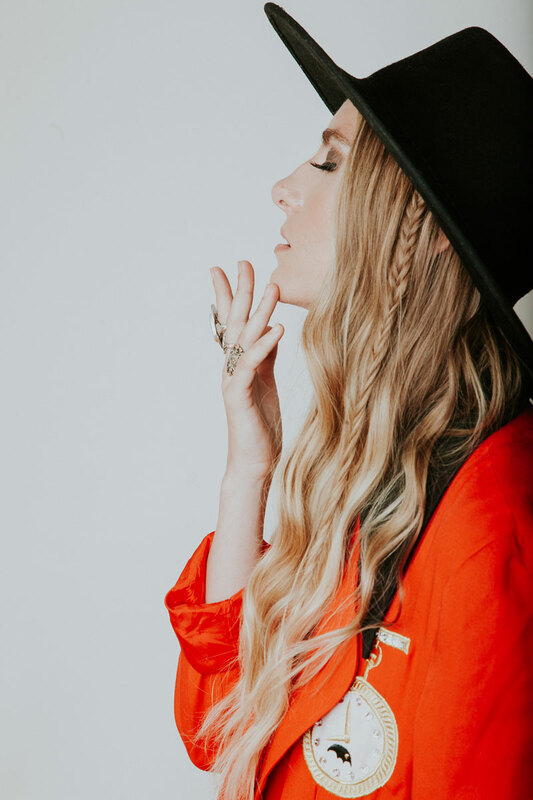 Now based in L.A., Rice has recently teamed up with in-demand songwriters like Justin Tranter (Janelle Monáe, Imagine Dragons, Kacey Musgraves, Julia Michaels) to bring her sophomore effort to life. But while the album is deeply informed by the painful experience of getting kicked out of her house after coming out to her family at age 18, Rice’s forthcoming material also shines with an undeniable sense of strength and resilience. As she gears up to record with Ken Nelson (the Grammy Award-winning producer behind Coldplay’s first three albums), Rice continues to tap into the natural musicality she first cultivated in early childhood, after her grandmother gave her an old piano. Growing up in Texarkana as the daughter of a fundamentalist preacher, she began writing songs at age eight and quickly came to rely on music as an emotional outlet. “I felt like I was living with so many secrets, and my way of dealing with that was to wait until everyone else was asleep, then sneak into the piano room and write songs all night long,” says Rice. That diligence paid off when the owner of a local café asked Rice to host her own night at the venue, a gig that greatly expanded her following. After graduating with a degree in biology in 2013 (and landing a job at Baylor College of Medicine), she tried out for The Voice but failed to make it through the first round. Undaunted, Rice then formed a band called Colonial Blue with her longtime collaborator, drummer Corey Chierighino. As she immersed herself in the making of Dear Misery (released as a Colonial Blue album), Rice decided to cast off the safety net of her job, a move she partly credits to the encouragement of her wife. Released just weeks after she quit, Dear Misery proved to be a breakout success, hailed by the Houston Chronicle as one of the year’s best albums.